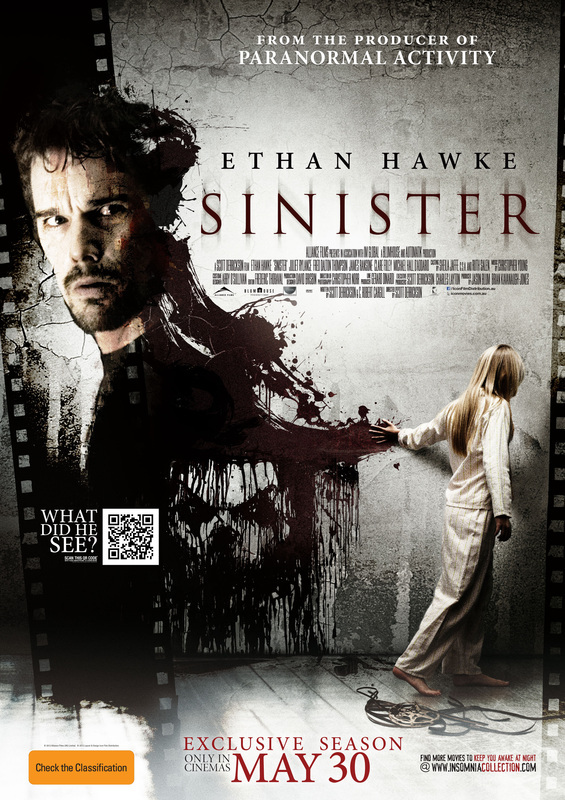 A new frightening supernatural thriller from the producer of the Paranormal Activity films and the director of The Exorcism of Emily Rose, SINISTER stars Ethan Hawke as Elison, a true-crime writer who lacks inspiration and decides to move into a new home with his family. When he discovers a box of disturbing 8mm films in his attic, he watches a series of gruesome crimes and begins to delve further into the story. He soon uncovers a terrifying truth that could put his life and the lives of his family at risk.